What is The Paddock we hear you say? The Paddock itself is my family's 6 acre smallholding which we have owned since 2002, based on the beautiful Northumberland/Gateshead border. 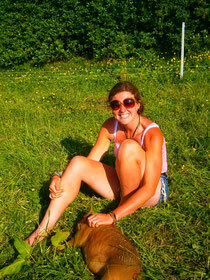 This has provided the starting point for our small, family run business which I started in 2013, age 23, after travelling New Zealand for two years and learning a great deal about sustainable living though volunteering on eco farms and projects with conservation at the heart of what they do. I was so impressed with what I learned while away, that I came home with the idea of turning our smallholding into more than just a way of life, but also a job I could feel proud and passionate about. We've come a long way now from the early days when we started with a small flock of chickens, selling farm gate eggs, potatoes, broad beans and courgettes! A selection of set price, fresh, seasonal, organic fruit and vegetable boxes are available ranging in price from £12 to £25 as well as a good range of individually priced organic fruit and vegetables, giving you the flexibility to create your own box. No commitment is needed, with one off, weekly, fortnightly and monthly options available. We aim to produce what we can at The Paddock on a very small scale and at my allotment in Allenheads, using a no dig, organic approach to growing but what we can't, we source locally and organically from trusted, local suppliers. All our fruit and veg is grown free from chemicals and is fully traceable back to the producer! We work closely with a family run farm in North Yorkshire as well as local, community farms and growers to supplement the veg boxes to provide a year round, seasonal delivery service. Our imported veg does not travel by air freight. We operate an open and honest policy when it comes to the produce we sell, how and where it has been produced, as we believe everyone should know where there food comes from and exactly what has gone into producing it. We strongly believe in a co-operative way of producing food and working together, facilitating local growing through good relationships. Our food is free from palm oil, additives and preservatives and we aim to source compostable packaging wherever possible on produce which must be wrapped. Fresh free range eggs are also available, all laid fresh by Laura's Layers, the wonderfully entertaining chickens at The Paddock or by local, small-scale, free range chicken keepers on allotments and small holdings - people we know and trust, people who regard animal welfare as a top priority! We have formed some excellent partnerships with local producers throughout Northumberland and further afield who have kindly agreed to share their wonderfully tasty produce with The Paddock; which has created a network of fantastic local producers, all under one roof. Including; a selection of handmade Northumberland Cheeses made with local milk on the Blagdon Estate by the Northumberland Cheese Company; organic Birdoswald Cheese and Natural Yoghurt from Slack House Farm, Gilsland, Cumbria; organic milk in glass bottles and organic farm butter from Acorn Dairies, Darlington; Handmade Cheese from Weardale Cheese, Durham, cold filtered, raw, naturally processed local honey from beekeeper Les Elliott, Ponteland; handmade, artisan jams and chutneys from Jean's Jams (Newcastle); handmade jams, chutneys and preserves from Fat Lass Preserves, Newcastle; handmade chutneys and pickles from The Pickle Palace, Greenside; an exciting range of delicious, handmade chutneys, salad dressings, marinades and balsamic vinegars from Wildon Grange (Barnard Castle) and a huge pantry stocking a a range of organic tins and dried goods from SUMA (Leeds) and British grown grains and pulses from Hodmedod's, local, organic flour from Gilchesters, local Rapeseed Oil from Baste and Bray, cold pressed juices, Northumberland Tea; granolas, muesli and porridge from Yockenthwaite Farm (Skipton), Gluten Free Granola from Perfect Provender (York) and for those with a sweet tooth we have handmade Shortbreads in various flavours from The Northumbrian Bakehouse and organic chocolate. Pop into our Farm Shop in High Spen to see our extensive range or try a selection of everything in our Local produce Hamper or create a bespoke Hamper - the ideal present. We also offer local, free range, naturally reared, grass fed Lamb, Hogget, Mutton, Pork and Beef from Blaydon Burn Farm to pre-order for delivery alongside a veg box or collection from our farm shop. Also on offer, a wide range of vegan and gluten free products, as well as an ever growing selection of eco friendly household and natural bodycare, with a refill system now available to help you minimise your single use plastics at home. The ethos of The Paddock centres around a celebration of local, seasonal food produced in an ethical, sustainable and environmentally friendly manner. In keeping with our environmentally friendly ethos, we operate a zero waste policy, even our raised beds are made from recycled timber. Any veg which is left over from our box scheme or farm shop is donated to community projects or used to make curries for our curry nights or soup for the shop, fed to our animals or composted at The Paddock and put back onto the land to fertilise it. We pride ourselves on being an ethical, sustainable business and as such, we recycle all of our packaging including the boxes your veg is delivered in and our egg boxes. Our food has not travelled high air miles and this really shows in the freshness and taste, as well as being more environmentally friendly! We take donations of boxes for our veg box scheme and reuse all of the packaging we can, including the brown paper veg bags. We don't buy in plastic, but simply reuse anything that sent to us. It's important to us that we consider our carbon footprint in everything we do! In keeping with our zero waste ethos, we offer a bottle deposit scheme on our organic milk in glass bottles - head over to the Dairy page of our website for full info! We aim to encourage a reduced amount of packaging, especially plastics. We offer traditionally waxed cheeses from Weardale Cheese and now a range of eco friendly household cleaning products and natural body care with a refill option, and a plastic free pantry for refilling your organic dried goods. The veg you receive will be as it comes, we don't believe in food waste for cosmetic standards! We firmly believe that eco friendly shouldn't cost the earth, and as such we strive very hard to maintain affordable everyday prices on all of our products! We work closely with community projects and charity is very important to us. Since being supported by The Prince's Trust in the early stages of setting up The Paddock, I volunteered as a Young Ambassador for the charity for 18 months, encouraging other young people to follow their dreams and plan to train as a business mentor. You will often find us hosting a raffle with all proceeds to charity, greyhound rescue being very close to our hearts. We are also involved in organising local, community based events to help make our local community a lovely place to live and work. Ethics are one of our core principles, and as such we employ members of our local community to help us pack and deliver the veg boxes and run the shop. We aim to pay a fair wage in line with the real living wage, and we have a really lovely team at The Paddock. Our produce is priced fairly to ensure that at every stage of the process, from growing, to packing to delivering, everyone is paid a fair price for what they do. Our boxes are extremely important, please return them, even if you only order once! Without the boxes, we cannot pack and deliver your veg and it becomes very costly to replace them. 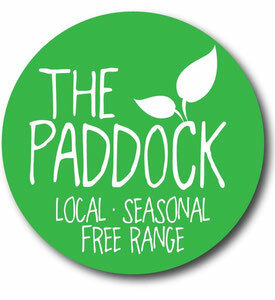 The Paddock hopes to enable you to enjoy the great taste of fresh, home-grown, free range and organically sourced produce delivered direct to your door. Food that tastes the way it should - the way it used to! There is no delivery charge, just a minimum order spend of only £12 on fruit and/or veg, some areas require a minimum £15 spend on fruit and/or veg and an additional £2.50 delivery charge. We only cover certain parts of Durham and Northumberland. For full info on our delivery areas, minimum spend and possible delivery charges, please visit the FAQS section of the website, contact us to find out whether we cover your area and if so what the delivery charge may be or why not pop along to our Farm Shop in High Spen and collect. Unfortunately we can't offer delivery on our additional products alone and we do ask that they be bought alongside a fruit/veg box to a minimum of £12. We are very lucky to have been supported by The Prince's Trust Explore Enterprise Programme and the Regional Growth Fund and to have been nominated for and won various awards. Please have a look around our website and contact us with any questions you may have! Using the links on the left hand side, you can order all of the products on offer from The Paddock and check out the antics of our lovely animals in the gallery. Orders received by Sunday evening will be delivered the following Wednesday or Thursday depending upon your area. Payment is taken upon delivery (not upon placing the order) by either cash or direct bank transfer. Once you have placed your order, you will be contacted directly to confirm delivery. Please have a read through the "Frequently Asked Questions" section before placing an order for full info on the service! We do offer workplace delivery, so please contact us if you wish to discuss options for a workplace fruit delivery or something similar. 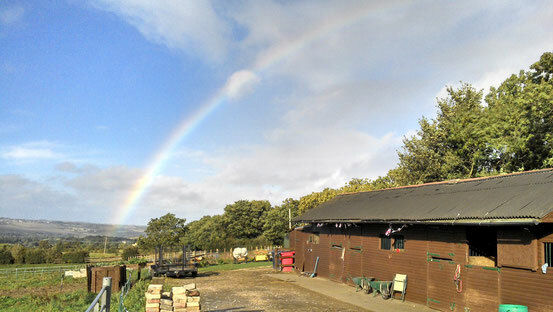 Alternatively you can visit our Farm Shop at 7-9 Ramsay Street, High Spen, Tyne and Wear, NE39 2EL. We are currently open Wednesday and Thursday 10am-5pm and Friday 11am-4.30pm. We offer collection for pre-orders from the Farm Shop or just pop in and see what we have on offer! Please visit The Farm Shop page for full info! From August 2018, you can also pre-order a set price box to be collected from Deli at Number 4 in Hexham. From March 2019, you can pre-order a set price box and associated produce (no dairy or chilled items) to be collected from Urban Zen in Felling. From April 2019, you can collect one of our set price fruit and veg boxes from Buy the Kilo, Tynemouth. Please state during checkout if you wish to collect from one of our drop off points. By placing your order, you have been placed on our mailing list and consent to us holding the information you have provided. Please let us know if you do not wish to receive our updates. We do not share information with third parties or other organisations. Thanks for stopping by! We look forward to seeing you soon. How can I contact The Paddock? Or via the contact page on the left! You can also like our Facebook page to keep up to date with our progress. The Paddock Farm Shop is open Wednesday and Thursday 10am-5pm or Friday 11am-4.30pm at 7-9 Ramsay Street, High Spen, Tyne and Wear, NE39 2EL.